This is one of the simplest things I will post here but one of the most delicious. The flavour combination is beautiful. 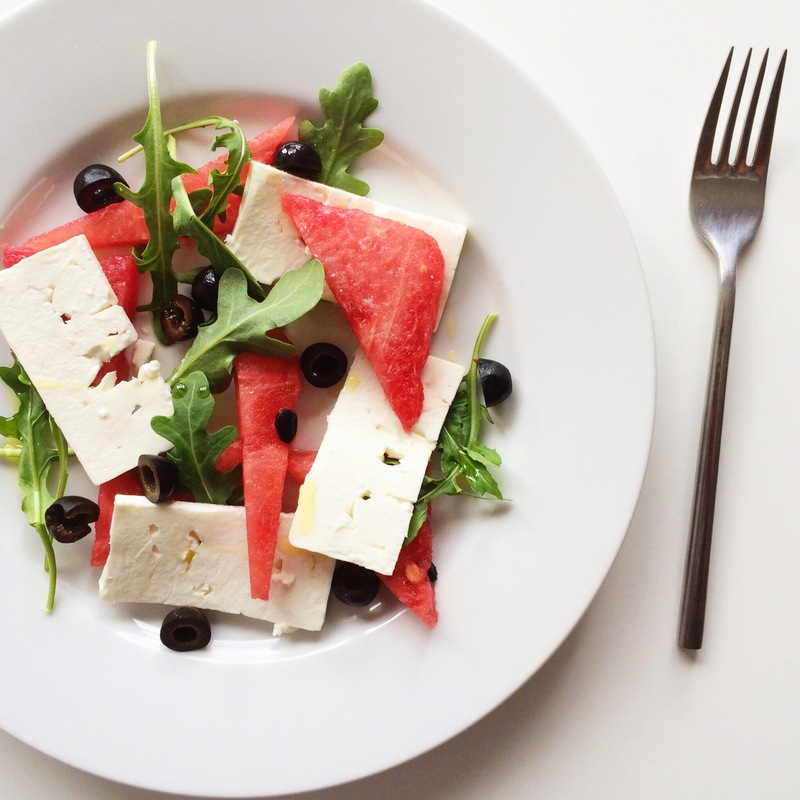 Sweet juicy watermelon goes so well with the salty feta and olives with a hint of bitterness from the rocket leaves. And on the plus side, it looks lovely too! Not much method to this really. Artfully arrange your ingredients, drizzle over a little olive oil (you could add some mint here or maybe some chilli). Enjoy!